The Vickers Viscount was a British medium-range turboprop airliner first flown in 1948 by Vickers-Armstrongs, making it the first such aircraft to enter service in the world. It would go on to be one of the most successful of the first generation postwar transports, with 445 being built. George Edwards (later Sir George Edwards) took over as chief designer and assumed all technical control over the Viscount project. and Edinburgh for a month. The 29 July flight between Northolt and Paris – Le Bourget Airport with fourteen passengers was the first scheduled flight by any turbine-powered aircraft. The second prototype Viscount was named the Type 663 and was built as a testbed. This aircraft fitted with two Rolls-Royce Tay (turbojet) engines and first flew in RAF markings as VX217 at Wisley on 15 March 1950. It was demonstrated at the Farnborough SBAC Show in September and was later used in the development of powered controls for the Valiant bomber. Subsequently, Boulton Paul Ltd used it as a test bed for electronic control systems until scrapping in 1960 at Seighford airfield, Staffordshire. The final major change to the design was the Type 800, unofficially named the Super Viscount, stretched 3 ft 10 in (1.2 m) for up to 71-74 passengers. Wider, more square doors were fitted to the airframe at this time. A further fuselage extension was planned but not produced, instead eventually developing into the later Vanguard. The last Viscounts built were six for the People's Republic of China state airline Civil Aviation Administration of China, which were delivered during 1964, giving a total production total of 445.
such as British Air Ferries (later British World). After a life extension programme on the airframes, the Viscounts continued in service both as passenger aircraft (until early 1997), and freighters, able to carry seven tonnes of payload, a useful amount in the market. The last British-owned Viscounts were withdrawn and sold on by their operator British World Airlines for use in Africa in 1997. As of August 2010, one Viscount 800 series (ex-G-APEY) remains airworthy and for sale at Lanseria, Africa. 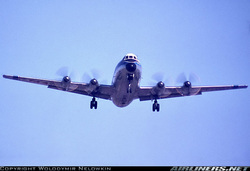 This means the Viscount has flown between 1948 and 2010, giving the aircraft type an amazing lifespan of 62 years. In August 2010, only two Vickers Viscount aircraft (both ex-B.E.A. type 800, the first one reg. no. 3D-PFI), remained in airworthy flying condition in Africa, and there is a possibility that 9Q-COD (the second one, formerly G-APEY) remains flyable, but is parked on the military ramp at Kinshasa. 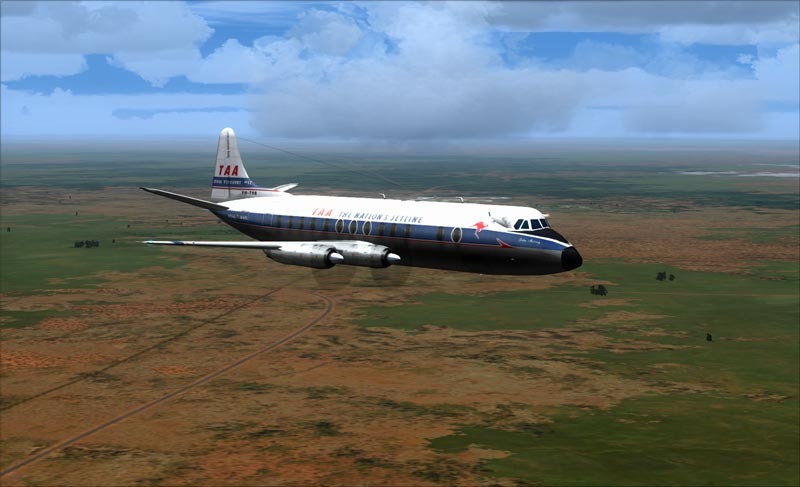 There is a further Viscount 800 parked at Lubumbashi, and this machine flew twice in 2008, so may be in a flyable condition at the time of writing (2010). In addition to this, one series 700 aircraft is in a near flyable condition at the Mid-Atlantic Air Museum in the USA, but requires a complete fuel line overhaul.